Juicing – freshly juiced vegetables & fruit are highly nutritious & delicious – and an easy way to get your daily 5 veg & fruit! Believe in your body’s ability to heal – make this as strong as possible, as your body does not know the difference between reality & imagined reality! NB: Please click here to read “What causes cancer” – for a comprehensive guide on what foods / ingredients to avoid, as well as safe practices for regaining your health. Previous post: What Causes Cancer? 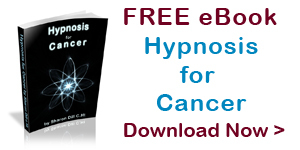 Next post: How can hypnosis help for cancer?